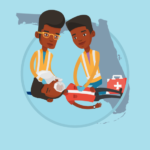 Florida is on the move again for making CPR a graduation requirement with House Bill 795 and Senate Bill 996, after two failed attempts in 2013 and 2015. This time, a father and daughter team are taking action to help the cause. 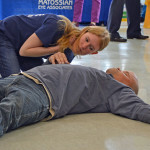 Lexi Sima (a senior at Viera High School in Melbourne, FL), along with her father Shawn Sima, are pioneering a grassroots campaign to assist State Sen. Debbie Mayfield and State Rep. Thad Altman making CPR training mandatory for Florida high school students. 2 years ago Lexi died doing something she did everyday. That’s right, you are reading that correctly. Lexi went into cardiac arrest and collapsed off a treadmill at the young age of 16. By the grace of God there were people at the gym with CPR training and more importantly, the confidence to step in and help. Bill Sick stepped in without hesitation and performed CPR, and with the help of Jack Rhodes, John Lynch and Amanda Miller, saved her life. Their intervention and the use of the AED (automated external defibrillator), revived Lexi and kept her alive while waiting for an ambulance to arrive. “It is critically important to act and act quick,” Bill stated in an interview with Space Coast Daily TV. The thing is, when this happens most people don’t act. They have an adverse reaction, and step back. Why? There are probably many reasons. But the most important reason is lack of training and confidence. 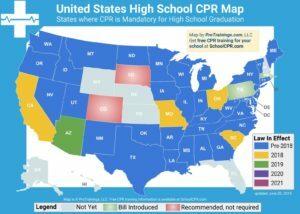 That’s why schools across the country have mandated the CPR graduation requirement for high school students. Teenagers are some of the best rescuers because of their willingness to learn and fearlessness. 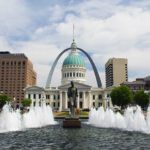 Rep. Altman and Sen. Mayfield say that this will be an uphill battle, but they encourage students to reach out to their local state representative and on social media to make sure this bill is heard. The power belongs to the people. You can track the Florida Senate Bill 996 (SB996) progress here. Today, Lexi is not only alive, but remarkably brave to share her story. She and her father Shawn, are making it their mission to help push this bill into law and give back. 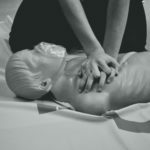 Everyone should be armed with the knowledge on how to save a human life. Seems like a no brainer right? So, view our training videos here for free. 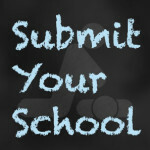 Get your school registered today. Because Life Matters.